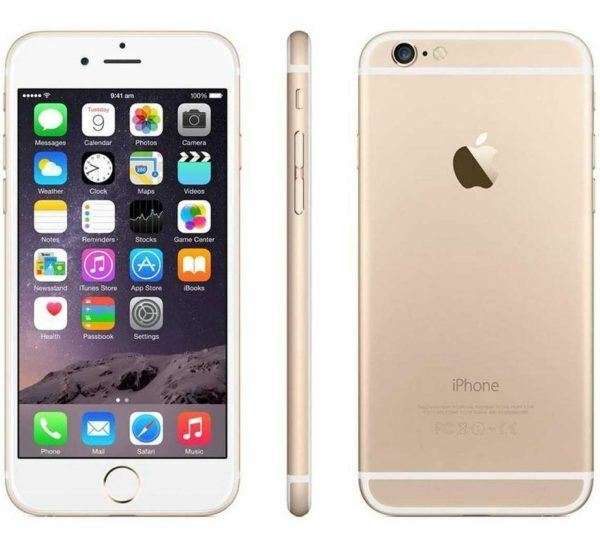 The iPhone 6 Plus is a new model of Apple’s smartphone introduced alongside the iPhone 6. While being very similar to the iPhone 6, the iPhone 6 plus is presented with a bigger display and, for instance, a higher capacity battery, which was made possible due to the additional space in the phone. 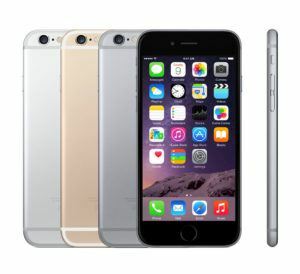 On September 9, 2014, Apple forked its iPhone line, introducing the iPhone 6, its flagship model the iPhone 6 and debuting the iPhone 6 Plus, its super-sized sibling, larger and thinner than other iPhone models, and with the capacity for more endurance on a single charge than most comparably-sized and smaller competitors. Announced on September 9, 2014. Released on September 19, 2014. Storage Capacity: 16, 64, 128 GB. OS: Pre-Installed OS: iOS 8.0. Maximum OS: Current. Usage Time: Standby Time – 384 Hours. Up to 80 hours of audio playback, 24 hours of talk time on 3G, 12 hours of Internet use on 3G, 12 hours of Internet use on LTE, 12 hours of Internet use on Wi-Fi, 14 hours of video playback and 384 hours of standby time. Display: 5.5-inch display with 1920 x 1080 resolution at 401 ppi. Connectivity: Buit-in support for Wi-Fi. USB. Lighting and Headphone ports. Audio Support: AAC (8 to 320 Kbps), Protected AAC (from iTunes Store), HE-AAC, MP3 (8 to 320 Kbps), MP3 VBR, Audible (formats 2, 3, 4, Audible Enhanced Audio, AAX, and AAX+), Apple Lossless, AIFF, and WAV. Cameras: Rear Camera: 8 MP. Front Camera: 1.2 MP. Video Support: H.264 video up to 1080p, 60 frames per second, High Profile level 4.2 with AAC-LC audio up to 160 Kbps, 48kHz, stereo audio in .m4v, .mp4, and .mov file formats; MPEG-4 video up to 2.5 Mbps, 640 by 480 pixels, 30 frames per second, Simple Profile with AAC-LC audio up to 160 Kbps per channel, 48kHz, stereo audio in .m4v, .mp4, and .mov file formats; Motion JPEG (M-JPEG) up to 35 Mbps, 1280 by 720 pixels, 30 frames per second, audio in ulaw, PCM stereo audio in .avi file format. Dimensions: 6.22 in height, 3.06 in width, 0.28 in depth. Battery: Lithium Ion battery. Non-removable Li-Po 2915 mAh battery. Colors: Silver, Gold, Space Gray. Environmental Requirements: Operating ambient temperature: 32° to 95° F (0° to 35° C). Nonoperating temperature: -4° to 113° F (-20° to 45° C). Relative humidity: 5% to 95% noncondensing. Operating altitude: tested up to 10,000 feet (3000 m). US$499 – 128GB locked to AT&T with a two-year contract. Contract free available for US$949 – 128GB. Accessories: Shipped with Apple EarPods with Remote and Mic, Lightning to USB cable, and a USB power adapter. Viewable document types with Mail attachment support include the following formats: .jpg, .tiff, .gif (images); .doc and .docx (Microsoft Word); .htm and .html (web pages); .key (Keynote); .numbers (Numbers); .pages (Pages); .pdf (Preview and Adobe Acrobat); .ppt and .pptx (Microsoft PowerPoint); .txt (text); .rtf (rich text format); .vcf (contact information); .xls and .xlsx (Microsoft Excel); .zip; .ics. FaceTime; Mail; Music;Wallet; Safari; Maps; Calendar; iTunes Store; App Store; Notes; News; Contacts; iBooks; Game Center; Weather; Reminders; Voice Memos; Clock; Videos; Stocks; Calculator; Compass; Podcasts; Watch; Tips; iCloud Drive; Find My iPhone; Find My Friends. The iPhone 6 Plus was the first iPhone model to introduce a full HD, 1920 x 180 display. For the sake of comparison, the iPhone 6’s resolution is still at 750 x 1334 only. Along with the iPhone 6, the iPhone 6 Plus was a sales record setter for Apple – more than ten million smartphones were sold in the first three days. The iPhone 6 Plus supports the following languages: English (Australia, Canada, UK, U.S.), Chinese (Simplified, Traditional, Traditional Hong Kong), French (Canada, France), German, Italian, Japanese, Korean, Spanish (Mexico, Spain), Arabic, Catalan, Croatian, Czech, Danish, Dutch, Finnish, Greek, Hebrew, Hindi, Hungarian, Indonesian, Malay, Norwegian, Polish, Portuguese (Brazil, Portugal), Romanian, Russian, Slovak, Swedish, Thai, Turkish, Ukrainian, Vietnamese. As to QuickType keyboard support, this version supports English (Australia, Canada, India, Singapore, UK, U.S.), Chinese – Simplified (Handwriting, Pinyin, Stroke), Chinese – Traditional (Cangjie, Handwriting, Pinyin, Stroke, Sucheng, Zhuyin), French (Belgium, Canada, France, Switzerland), German (Austria, Germany, Switzerland), Italian, Japanese (Kana, Romaji), Korean, Spanish (Mexico, Spain), Arabic, Bengali, Bulgarian, Catalan, Cherokee, Croatian, Czech, Danish, Dutch, Emoji, Estonian, Filipino, Finnish, Flemish, Greek, Gujarati, Hawaiian, Hebrew, Hindi (Devanagari, Transliteration), Hinglish, Hungarian, Icelandic, Indonesian, Latvian, Lithuanian, Macedonian, Malay, Marathi, Norwegian, Polish, Portuguese (Brazil, Portugal), Punjabi, Romanian, Russian, Serbian (Cyrillic, Latin), Slovak, Slovenian, Swedish, Tamil, Telugu, Thai, Turkish, Ukrainian, Urdu, Vietnamese. Siri languages on iPhone 6 Plus: English (Australia, Canada, India, New Zealand, Singapore, UK, U.S.), Spanish (Mexico, Spain, U.S.), French (Belgium, Canada, France, Switzerland), German (Austria, Germany, Switzerland), Italian (Italy, Switzerland), Japanese, Korean, Mandarin (Mainland China, Taiwan), Cantonese (Hong Kong), Arabic (Saudi Arabia, United Arab Emirates), Danish (Denmark), Dutch (Belgium, Netherlands), Norwegian (Norway), Russian (Russia), Swedish (Sweden), Turkish (Turkey), Thai (Thailand), Portuguese (Brazil). Dictation languages that come with this iPhone model: English (Australia, Canada, India, Ireland, New Zealand, Philippines, Singapore, South Africa, UK, U.S.), Spanish (Chile, Colombia, Mexico, Spain, U.S.), French (Belgium, Canada, France, Switzerland), German (Austria, Germany, Switzerland), Italian (Italy, Switzerland), Japanese, Korean, Mandarin (Mainland China, Taiwan), Cantonese (Hong Kong), Arabic (Saudi Arabia, United Arab Emirates), Catalan, Croatian, Czech, Danish (Denmark), Dutch (Belgium, Netherlands), Finnish, Greek, Hebrew (Israel), Hungarian, Indonesian, Malaysian, Norwegian (Norway), Polish, Portuguese (Brazil, Portugal), Romanian, Russian (Russia), Slovakian, Swedish (Sweden), Turkish (Turkey), Thai (Thailand), Ukrainian, Vietnamese. Definition dictionary support for iPhone 6 Plus: English, Chinese (Simplified), French, German, Hindi, Italian, Japanese, Korean, Spanish, Dutch, Norwegian, Portuguese (Brazil), Russian, Swedish, Thai, Turkish. Bilingual dictionary support: Chinese (Simplified), French, German, Japanese, Korean, Spanish. Spell check allows to work with the following languages: English (Australia, Canada, UK, U.S.), French, German, Italian, Spanish, Danish, Dutch, Finnish, Korean, Norwegian, Polish, Portuguese (Brazil, Portugal), Russian, Swedish, Turkish. iPhone 6 Plus in a waterproof case, lost by its owner while kayaking, was found and brought back in two months in working condition. 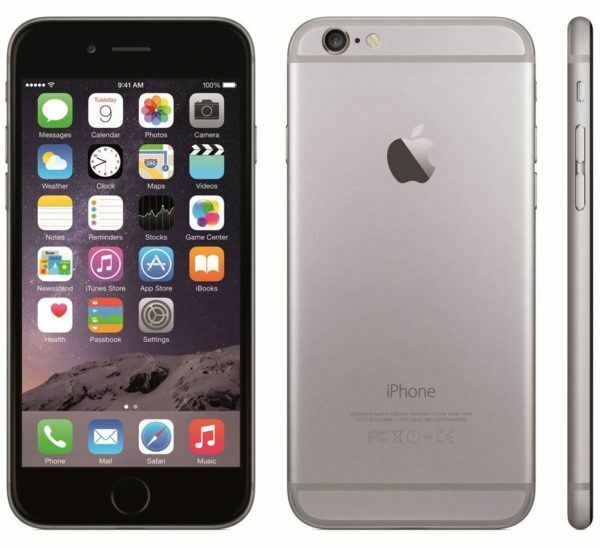 iPhone 6 Plus Manuals – Apple. You are looking where to sell your iPhone 6 Plus? We buy your used smartphone for the best price online! So good so far however weirdly when I try to install games that uses MojoSetup it opens up in ternimal not in GUI. I did the same way of opening it in Linux Mint 15 XFCE and it opens up in GUI? I know it not that big deal but would be nice if it can be fixed? I not sure if this is related to just cinnemon but I will download 16 Mate to see if the issue is on there as well. But they say it’s just because iPhone 6 plus is too slow, Apple slows it intentionally.